As women increase their presence in the work force, more men are sharing household responsibilities like grocery shopping and meal preparation. We first identified this “manly” trend as Manfluence® in our 2012 Breaking the Pattern research. To discover more about the potential effect of this Manfluence movement, we interviewed 900 men online about how they buy and prepare meat. What emerged from our research is an eye-opening profile of today’s male consumer that pokes a hole in our long-held assumptions about how the “typical” man shops for and eats meat. A significant percentage of men are now fulfilling roles that have traditionally been held by women, and how these men behave at the meat case and in the kitchen (or at the grill on the back deck) can mightily influence how meat products are merchandised and sold. 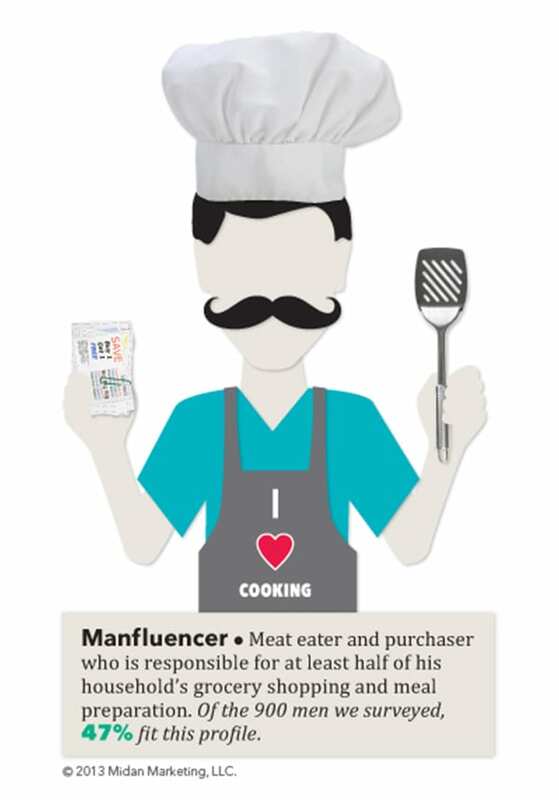 Get to know the Manfluencer!